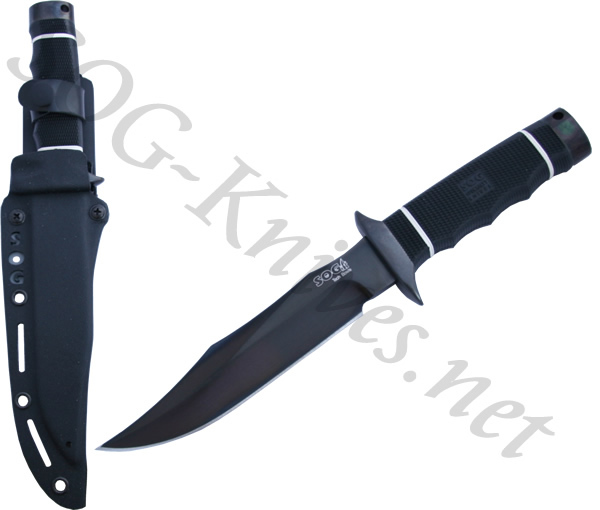 The SOG Bowie founded the SOG company. 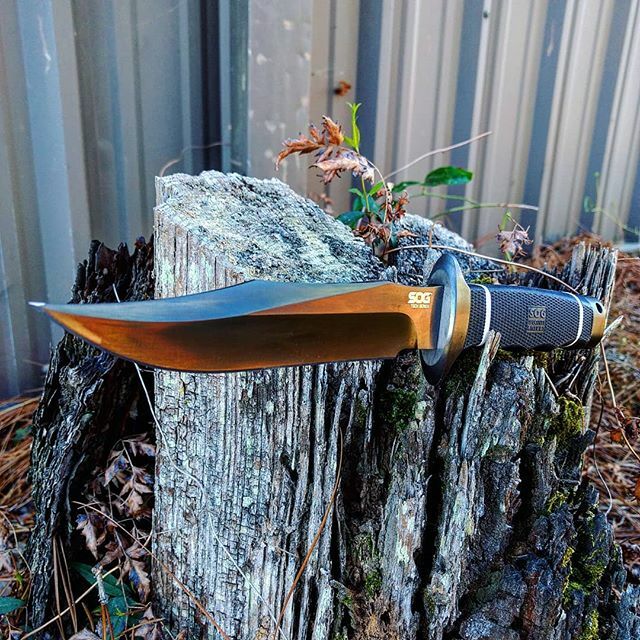 This SOG Tech Bowie model S10B continues to define the SOG company with good materials, great looks, and workhorse practicality. The blade is .240 inches thick and made of black TiNi coated AUS 8 polished stainless steel. The handle is made of Kraton with interspaced white washers that SOG claims has never been done before. A hard Kydex sheath is included that should last a lifetime. Own a SOG Tech Bowie Black TiNi Knife S10B? Tell us how you like it! Got a question? Ask! Somebody will answer!